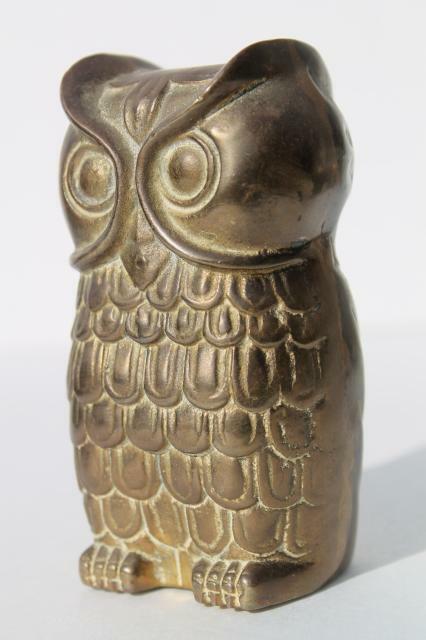 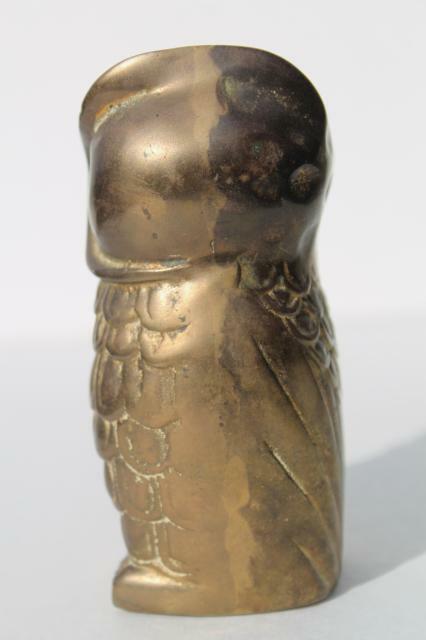 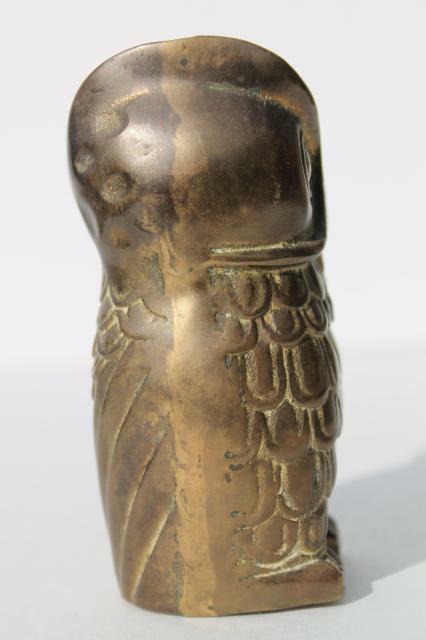 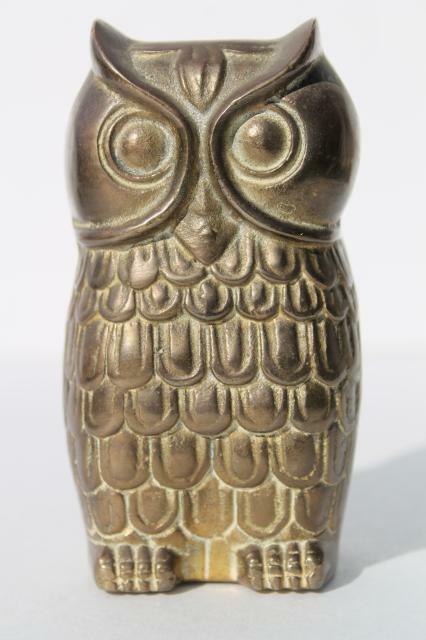 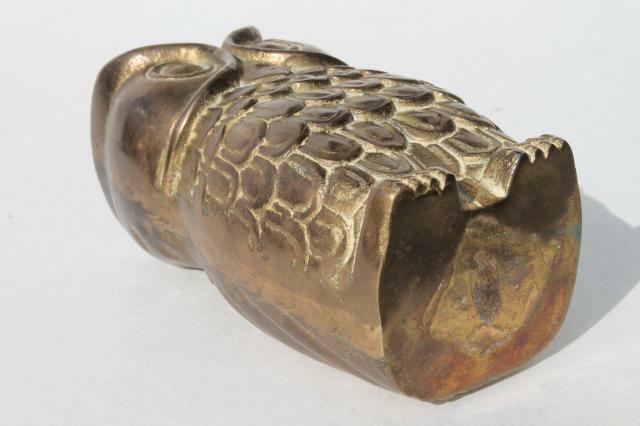 60s or 70s vintage brass owl, 4 3/4" tall, heavy enough for a paper weight. 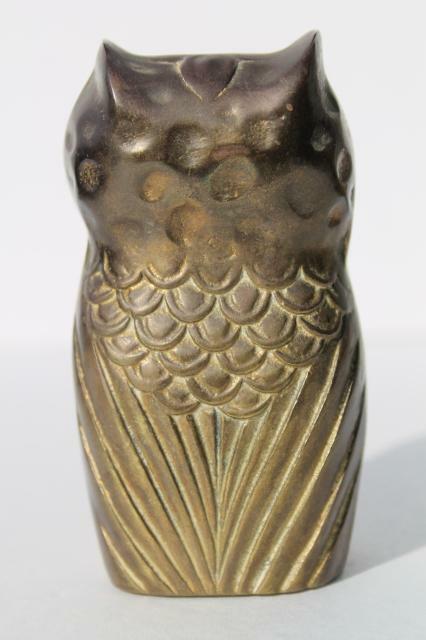 He's unmarked, but there's a mark on the bottom which must have held a label originally. 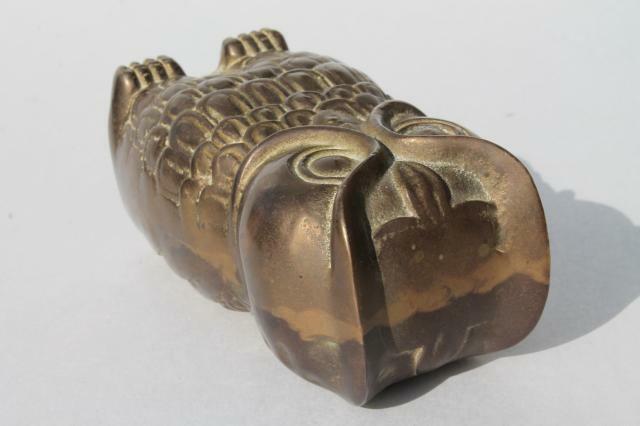 Nicely tarnished, we've left him just as found!